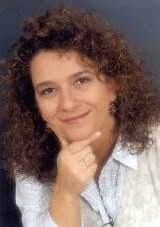 Tamara Kaye Sellman is a writer, writing coach and creative writing instructor on Bainbridge Island. Her short stories and poems have been widely anthologized and she has earned various literary honors, among them the 'Story of the Year' for Long Story Short (2007) and two Pushcart Prize nominations (1997, 2006). Areas of expertise include writing about creativity, food writing, citizen journalism, Web 2.0 considerations for writers, and speculative fiction. She is the founder of the web-based literary anthology Margin: Exploring Modern Magical Realism (2000-07) and is currently at work on a writer's guide to literary magical realism. Sellman's other projects include two magical realist novels, a children's middle grade chapter book series, a short story collection, a how-to book on writing magical realism and a paranormal mystery series. She is also the food columnist for Kalon Women Magazine, and blogging columnist for Web Success. For more information on this author please go to www.tamarasellman.com, www.writersrainbow.com, or www.magical-realism.com.